A small business archive may be managed by an existing member of staff or a company pensioner/volunteer using the guidance and best practice advice available on this site and drawing on professional advice as appropriate. N.B. Skilled operations such as conservation should not be attempted by non-professionals as irreversible damage may be caused. A large or complex archive (e.g. over many sites or in poor physical condition) should be tackled by a professional archivist either on a temporary contract or as full time company employee. For more information see Recruiting a professional archivist. You may decide that the collection is better managed in the public domain by records professionals at a local or specialist archive service. For more information about this option, see Partnerships and collaboration in archive management. 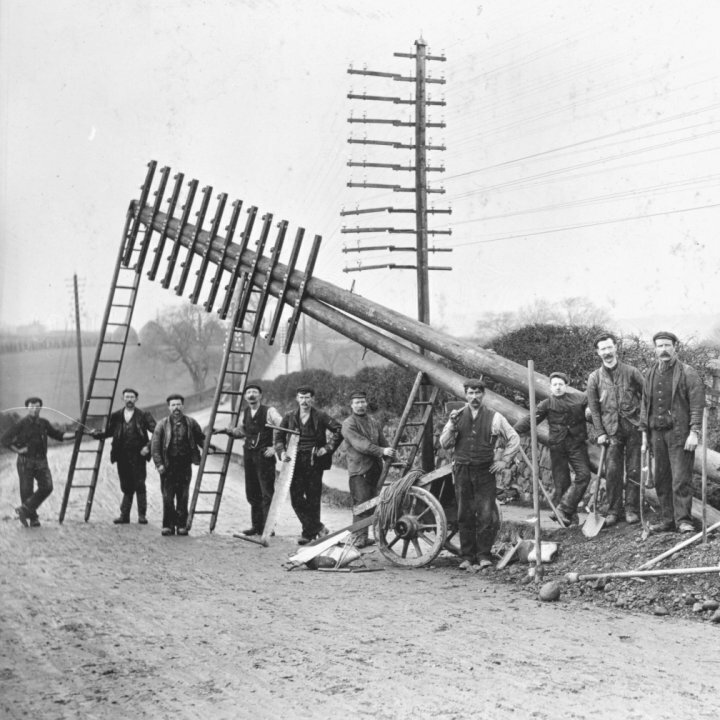 Engineering work gang erecting telegraph pole.